The fire-hardened dibble stick is used to prepare the holes in prepared hills for planting. 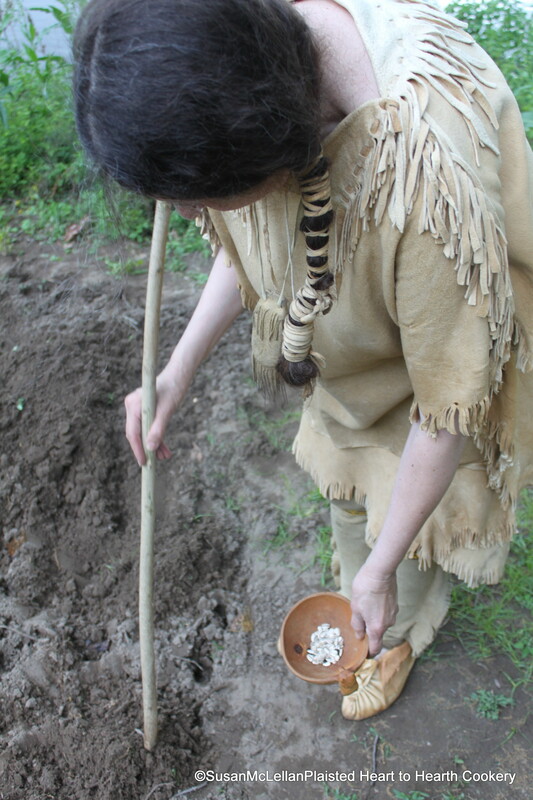 Sunflower seeds were planted in the hills around the edges of the three-sister’s garden. Interesting… we call it a dibber but it’s obviously the same derivation, isn’t it?